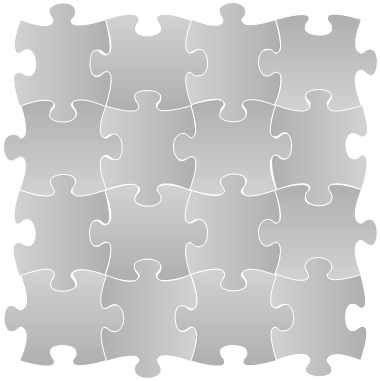 Offers ready-made printable puzzle pieces which you can reuse in your own marketing charting. The puzzle symbols are vector. You can recolor them with single color, gradient color, texture or pictures in Edraw. They are also easily resized. Drag the green square handles outward to enlarge shape and drag these handles inwards to decrease size. Click on the target puzzle piece and then drag the green round handle to rotate it. 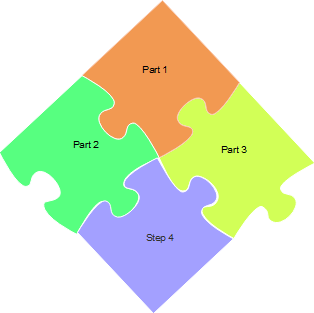 Fit several different puzzle pieces to form various puzzle diagrams. 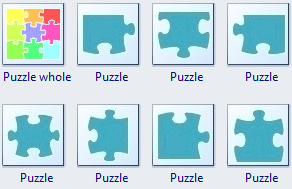 Enlarge, rotate and recolor them so that you can gain more unique and more beautiful puzzle diagrams. 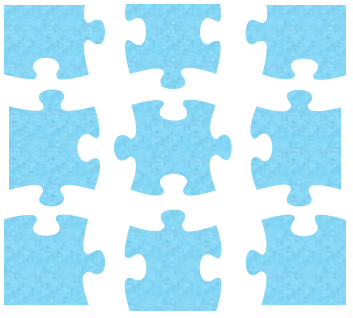 The designer can find the puzzle pieces in the Marketing Shapes template.